Former farm and factory worker Bobby Bare began his career as a guitarist in a small country band. Shortly before he was called up for military service, he quickly recorded the self-written title "All American Boy" and sold the recording with all copyrights for 50 dollars to Fraternity, which also released the record, not under the cash name but under the pseudonym Bill Parsons. 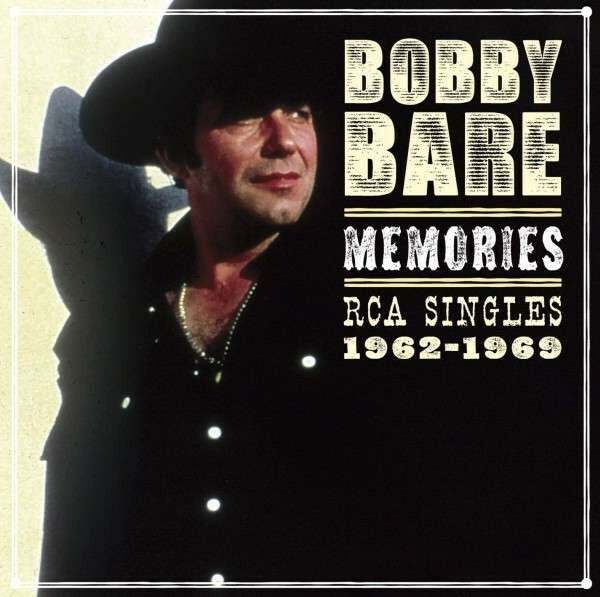 After military service, Bobby Bare made a second attempt, wrote three songs for the film "Teenage Millionaire" and had his first hit in 1962 with "Shame On Me". Bobby Bare was one of those musicians who brought a folksy touch with dominant unamplified guitars to the Nashville sound in the mid-1960s and thus met the folk trend of the time. Other great bare hits were "Detroit City", "500 Miles Away From Home", "Miller's Cave" and "Four Strong Winds". After excursions to smaller record companies, Bobby Bare joined Columbia in the late 1970s, where he recorded a whole series of fantastic L.P.s and recorded numerous hits. Nevertheless, the great success did not come any more and so Bobby Bare came to Capitol a second time in the mid 80's, where, similar to in the 50's, also this time they did not really know what to do with him. It remained with a few singles with medium hit parade success. Obviously Bobby Bare does not manage to continue his great time, the 60s. Customer evaluation for "Memories (2-CD)"